I am an experienced Acoustic Wedding Singer & Wedding Guitarist in Manchester, and have provided wedding entertainment at venues in and around Manchester such as Castlefield Rooms, Chetham’s, Didsbury House hotel, Fivefourstudios, Great John Street Hotel, Manchester Hall, Oak Tree of Peover, Owen House Barn, Victoria Warehouse (Check out the reviews page to see recent testimonials from couples in Manchester.As a wedding singer and guitarist I can provide full day packages that are tailored to give a diverse live performance that is suitable for many parts of your wedding day. From laid back popular acoustic covers during the Ceremony or Drinks reception, to upbeat sing-along sets in the evening. I have a repertoire of over 200 songs including Indie, Folk, Rock and Pop by artists such as The Beatles, Oasis, Mumford & Sons, Ed Sheeran & George Ezra. Unlike some wedding singers and guitarists who use backing tracks and loop pedals, I try to approach each song with my own personal style – combining acoustic guitar, harmonica and kick drum to complete a full band sound. 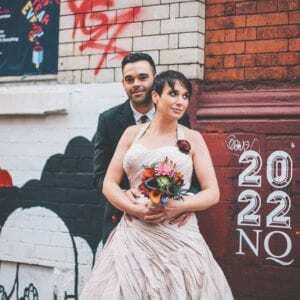 If you are also looking for a Manchester Wedding DJ, I offer a professional DJ service to keep you and your guests on the dance floor until the end of the night! I’d like to thank Michael for his performance at our wedding, which was fantastic and went beyond our expectations. Michael was extremely accommodating and despite having an extensive list of songs, he readily agreed to perform a couple of our own choices, which was great. 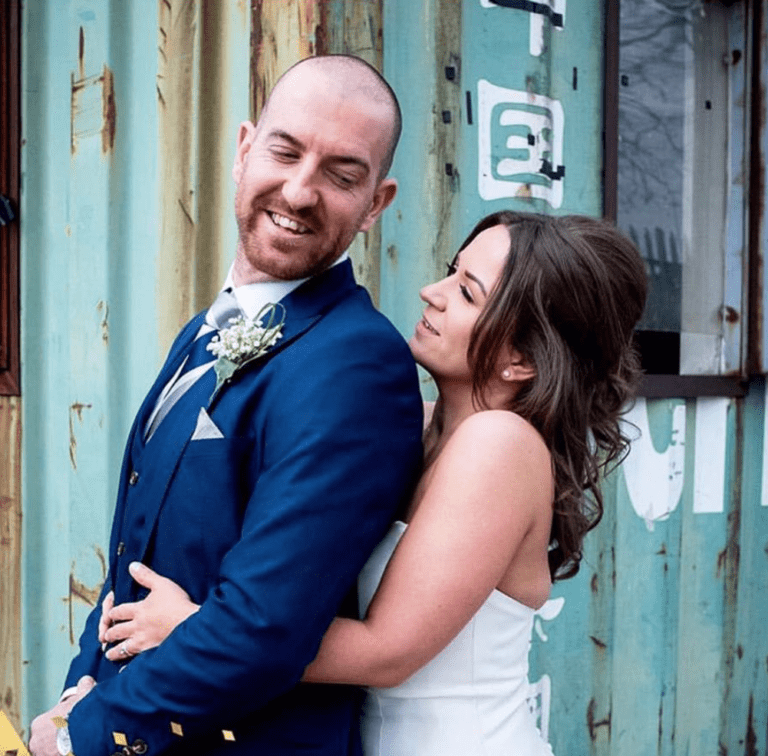 The wedding was relaxed and Michael’s laid back demeanour and charm fitted right in with this and he interacted with guests with ease and good humour. He is clearly a talented guy, playing an excellent set with his guitar and harmonica and his sound was just what we wanted. Everyone thoroughly enjoyed his performances and I received countless comments on how excellent he was. I couldn’t recommend him more and if this is they style of music you’re looking for then book, book, book him! 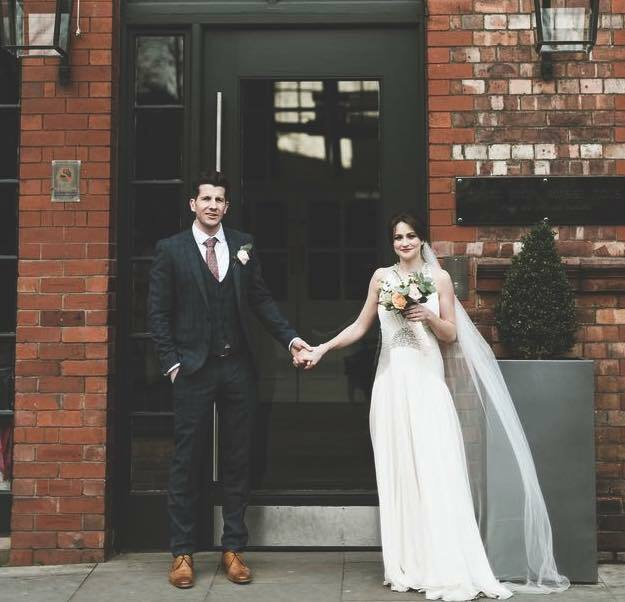 We just wanted to say a massive, massive thank you for playing at our wedding at Victoria Warehouse. You were amazing. We received so so many compliments about the music that you provided. It was one of the biggest talking points on the day, Our guests couldn’t believe how great you were. Also a massive thank you for playing when I was delayed, it really wasn’t my fault, honest! but we really appreciate that you played so many more songs to keep the guests entertained. We thoroughly enjoyed our day, and you were great from start to finish!